Are you weird? Do you like to be happy? Me too. I found some friends who specialize and excel and those very things, they are the aptly named Buddhist funk outfit Weird HappYness. Hailing from New York this melodiously inclined pair of acoustic rebel rousers can raise low self-esteem to an all time high. 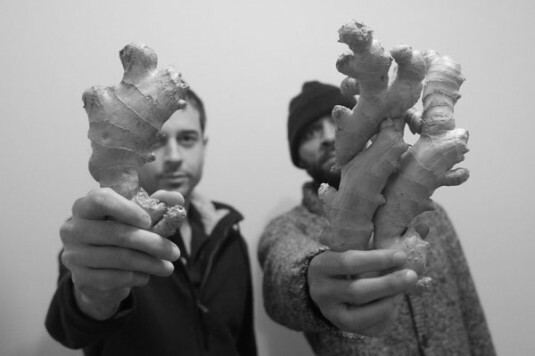 The New York based duo consists of percussionist Max Tucker and Hip-Hop producer Malik Ameer. Tucker, who holds a Bachelor of Fine Arts Degree from New School University Jazz Program in So Cal, is a classically trained drummer, yet is admirably unbound by any statute of traditional rhythm structure. Ameer, who grew up in Oakland CA. is heavy inspired by the West Coast underground scene, and is also an improv poet, a rapper and an author. Beyond that, Ameer also has an affinity for ancient mythology and indigenous spirituality of all kinds, a deep thinker, all his art forms have an esoteric focus through a third eye perspective. The graceful clamor these two weave together is definitely a must listen. They just released 8 full tracks available at WeirdHappyness Bandcamp as a preview to the upcoming release of their debut instrumental album (((10,000+ Hours))) due out on Tuesday, April 29th.